Rustie enjoyed much success with her debut album "That Oughta Do It." The first single to be released from the album, I'm Dropping Tears, climbed to #7 on the Worldwide Mainstream Chart (for most played artist), in August 2001. In September 2001 the album was nominated for album of the year and Rustie was nominated for female vocalist of the year in Indie Tracker magazine. 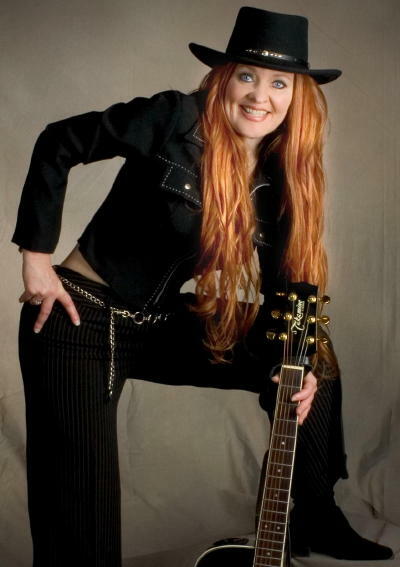 She has been featured in many publications such as "Southern Country" (the South's #1 British Country Music magazine), "Country Music Round-Up" and "Country Gazette" (Holland's largest Country magazine). Rustie was also featured on the cover of "H.E.E.T." magazine January 2002, and many more! 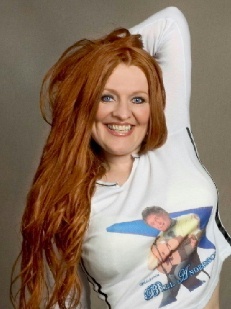 She has made numerous TV appearances, such as Fox 28 WTTE, Nashville Video Showcase, and a well known "Bingo Show" which is broadcast on TV Denmark 2 across the entire country, and Greenland! Rustie's second album was released in January of 2002 entitled, "Enter At Your Own Risk". It is a mix of Traditional Country with a bluesy sound! Her first single released from the album, Who's She To You hit the air waves shortly after the album was released, spent 8 weeks in the E.M.S. European Chart and peaked at #17. Her second release, On and On and On went to #1 on the "Hot Country Singles Chart" in May of 2002; it stayed on the E.M.S. chart for seven weeks. Rustie recorded and released a duet with Grand Ole' Opry member Ernie Ashworth in 2002. Ernie is best known for his hit song Talk Back Tremblin" Lips. Rustie has traveled and performed in many parts of the world. In February 2002, her first European tour took her to such countries as Denmark, Belgium, Germany, and Holland. This was a great success, after seeing her perform, Star Music International, a Norwegian booking agency added her to their American Artist Roster. Rustie is expected to go to Norway in 2005, along with her road band "The Stallions." September/October 2003 took Rustie to Australia, a great tour! She was one of only five American artist invited to perform at the 17th annual Telstra Mildura Festival; what an honor! Just days before traveling to Australia, Rustie was in the Sony Studios, Nashville where Rustie and Bill Anderson teamed up to record a duet. This was a year in the making! 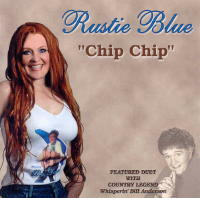 Chip Chip, the single is to be released to radio in early August 2004! "Chip Chip", Rustie's third album is to be released in late August. Rustie and Bill both are looking forward to the success of the release! If all of this were not enough, Rustie Blue is well known for her high energy show and tribute to Dolly Parton in the "Center Stage Legends In Concert Show". Rustie is as DYNAMIC ON STAGE AS DOLLY, WHICH SPILLS OVER FROM HER BUBBLY PERSONALITY AS HERSELF! If I would have to sum up Rustie Blue in a few sentences, I would have to say this gal knows whos she is, what she wants, and where she's going! Blue expresses a lot of passion for ENTERTAINING, and it comes natural with boundless enthusiasm on stage for her fans! She is, as the "Eagle Gazette" recently described her, TRUE BLUE!